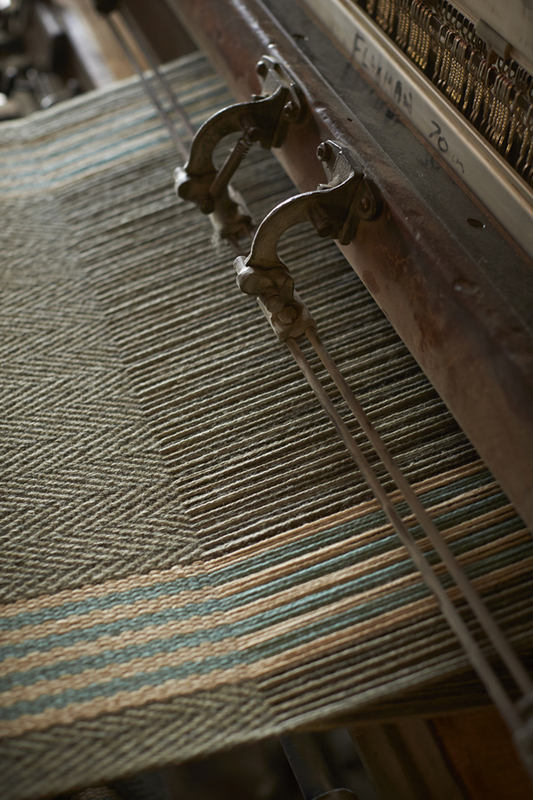 Roger Oates flatweave runners are woven in the UK using British Cheviot Blend wool which is spun and dyed in England. 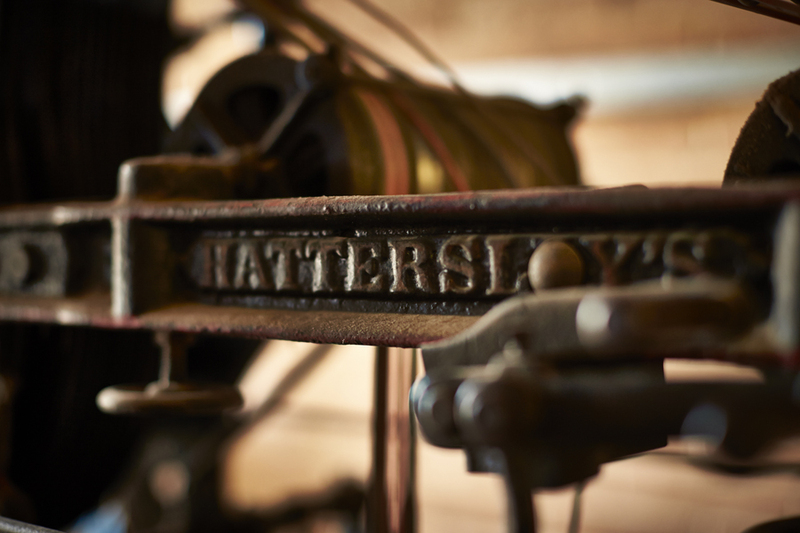 Specially adapted vintage ‘Hattersley’ looms weave our narrow width runners with finished selvedge edges. The looms are power driven, but each is operated by a skilled weaver who runs the loom. 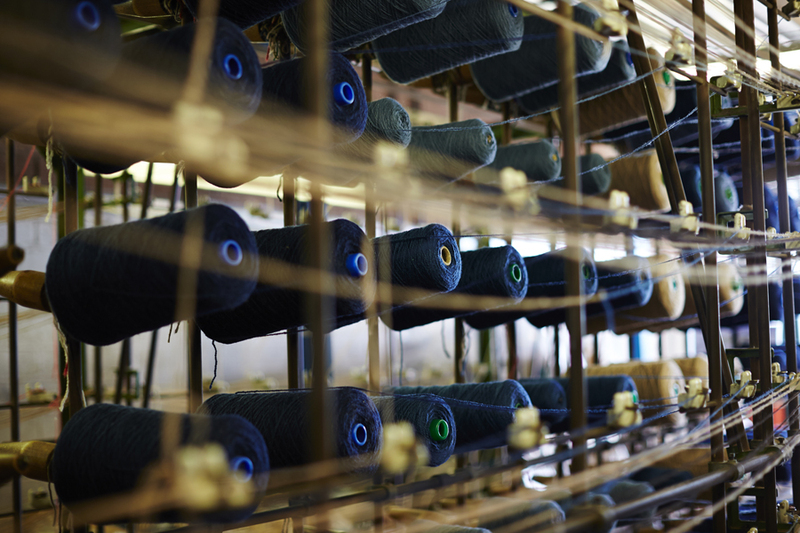 The weft yarn (which runs from left to right) is wound onto pirns ready to be woven. 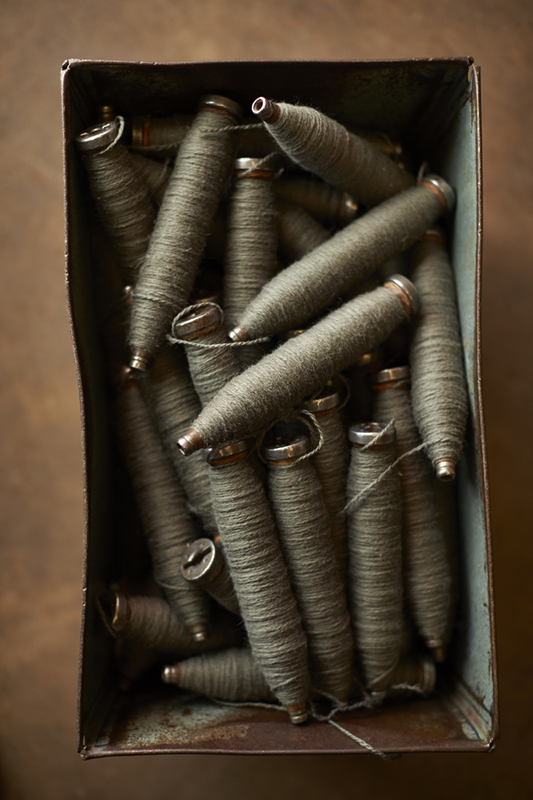 Each pirn is manually changed by the weaver every few inches which gives a continuous weft. 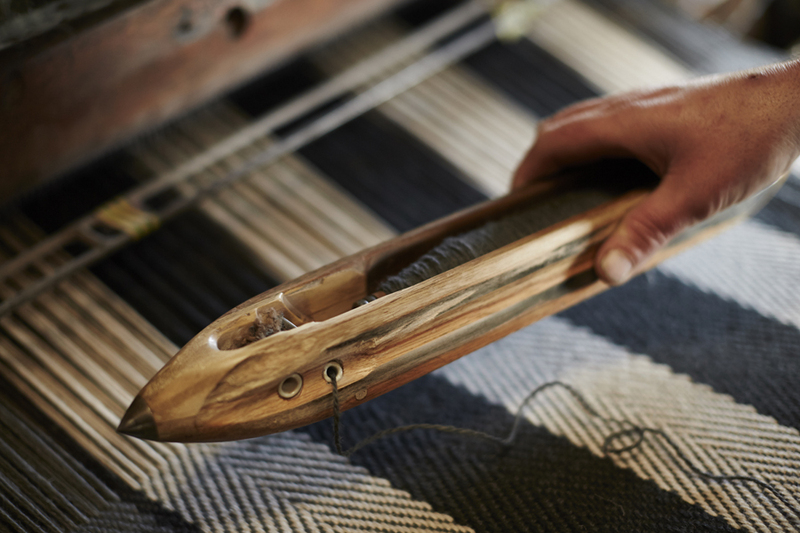 This gives a finished edge that will invisibly seam together allowing the creation of our flatweave rugs. 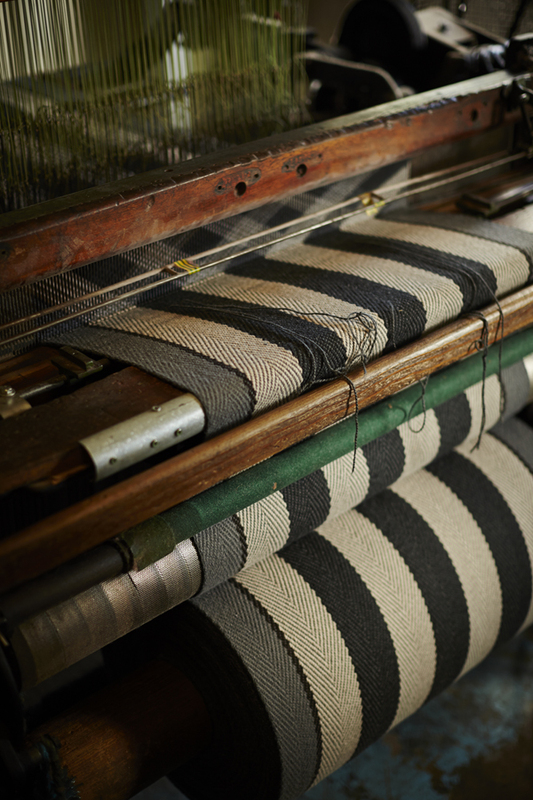 Each of our designs requires a unique set-up of the looms to produce the colours and structures. Shown here is Flaxman Lichen. 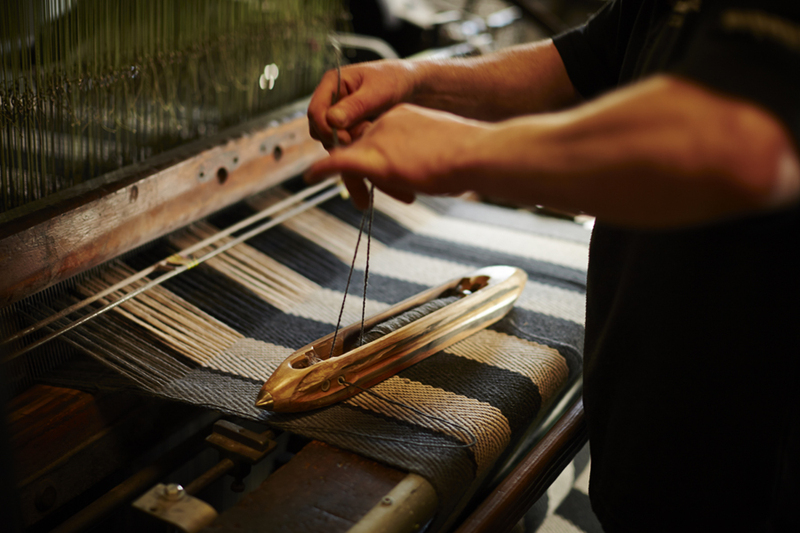 This weaving process is labour intensive and time consuming, but gives the cloth its unparalleled ‘hand-finished’ quality and it’s unmistakable Roger Oates handwriting.